Pick hope over anger. Choose love. ~ This is your chance at love and happiness - a fresh start, no baggage. ~ Pixie dust doesn’t lie, now go and get your happy ending. ~ Did you ever go back and find him? The man with the lion tattoo? 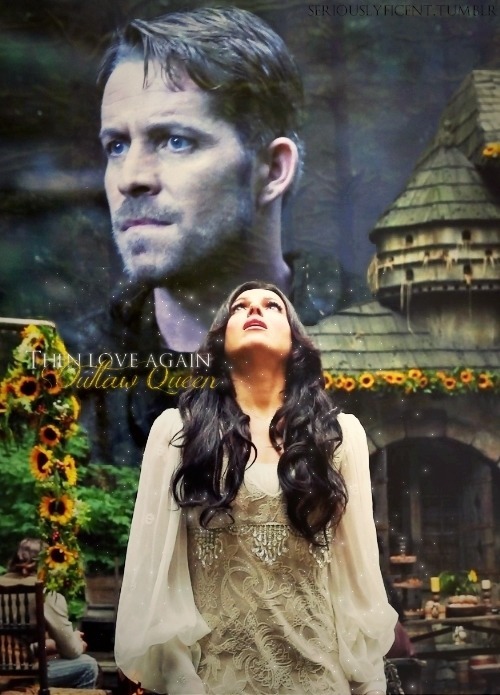 Lol all OQ quotes are from Tinkerbell, she ships them so hard. I'm thinking FTL because Robin has no real reason to go to SB before Regina gets there, since the debt to Belle is being ignored EGADS! I hate that they're ignoring Belle. 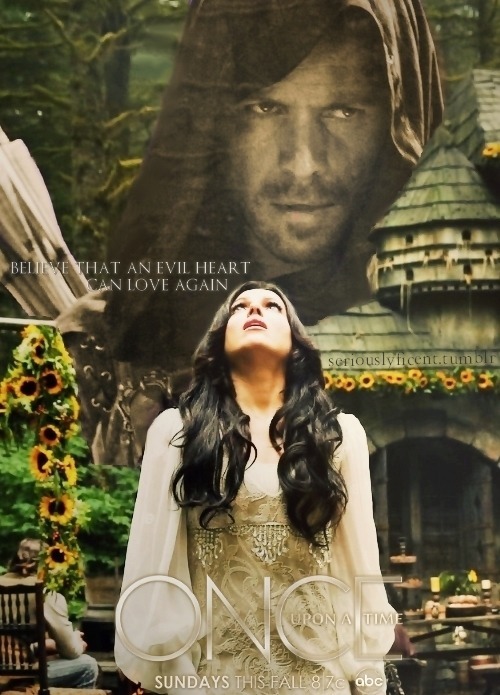 She was the one who saved Robin, Rumple only decided not to kill him because Belle begged him. How is that "saving his and his wife's life"? Sometimes I hate how Belle gets ignored all the time. LOL, I guess we already need a "Honorary Shippers" section. Can I be added as a full own Outlaw Queen shipper? Love that there is so much artwork for a couple who has never met or shared a scene together. Regina in love. Should be magnificent to witness. Can't wait for their storyline to begin. 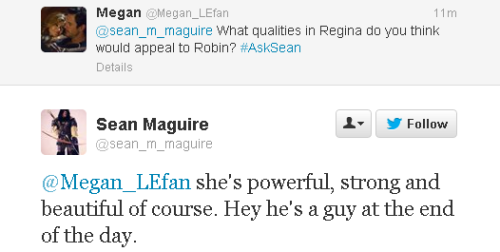 Yeah, i can't wait to see this Regina in love. It's going to be glorious. And Lana will rock it for sure. "Yeah, i can't wait to see this Regina in love"
Yes, should have qualified with "Present Day" Regina. Might start a Outlaw Queen soundtrack in the OP. What songs would fit Regina and Robin?